Freecharge offers are of equal or higher value.Online Recharge service for All Prepaid Mobile, DTH and Data card operators. 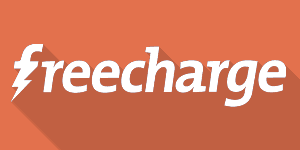 Freecharge.in makes online recharge of leading Indian mobile operators. You can recharge prepaid mobile online of Airtel, Vodafone, BSNL, Idea, Reliance, Docomo,Tata indicom, Aircel, Loop, Virgin, Videocon, Uninor etc. when you in hurry to do something or call someone urgently and you mobile does not have balance in it freecharge is very comfortable to add you your balance with lesser amount. You can even pay for post-pay bills.